Social media has enabled information, communication and reach for health professionals. There are clear benefits to patients and consumers when health information is broadcast. But there are unanswered questions on professionalism, education, and the complex mentoring relationship between doctor and student. This personal perspective raises a number of questions: What is online medical professionalism? 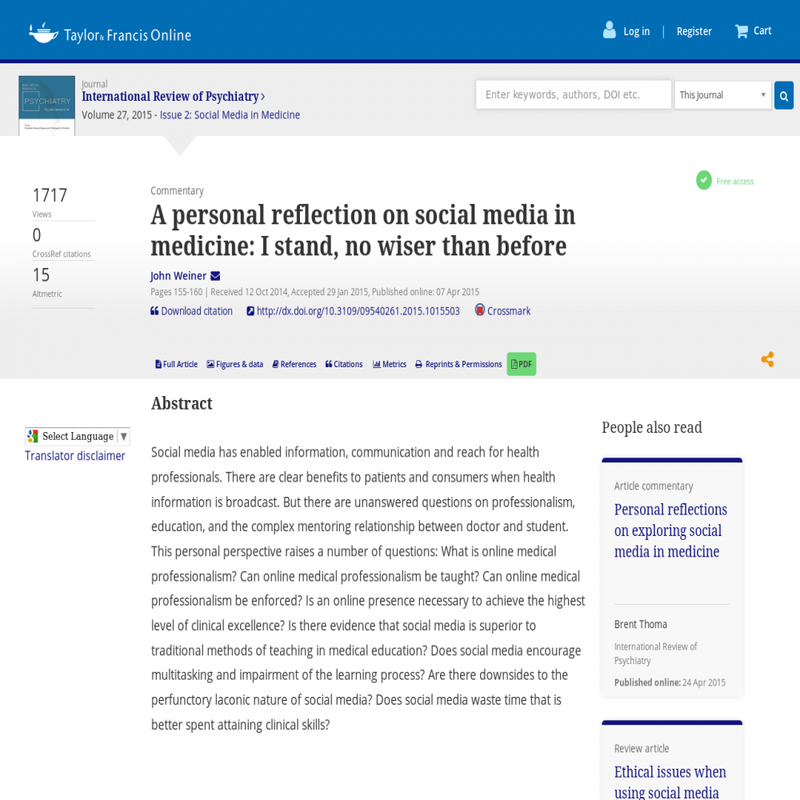 Can online medical professionalism be taught? Can online medical professionalism be enforced? Is an online presence necessary to achieve the highest level of clinical excellence? Is there evidence that social media is superior to traditional methods of teaching in medical education? Does social media encourage multitasking and impairment of the learning process? Are there downsides to the perfunctory laconic nature of social media? Does social media waste time that is better spent attaining clinical skills?